Image provided by 4Heads and Governor’s Island. Governor’s Island finds itself at a crossroads this September: a public park and former fortress, operated by an independent trust and the National Park Service, the island hosts artist residencies and concerts and is even sporting its first hotel. 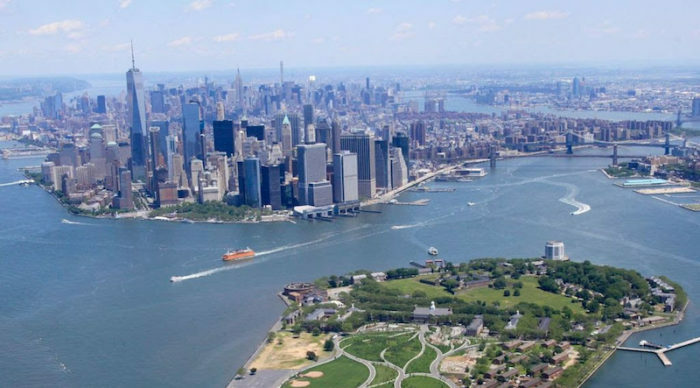 Against this backdrop, visitors are welcome to experience the 11th annual Governor’s Island Art Fair. Open every weekend in September from 11 am-6 pm, the independent art fair is organized by 4heads and is run by artists and for artists. 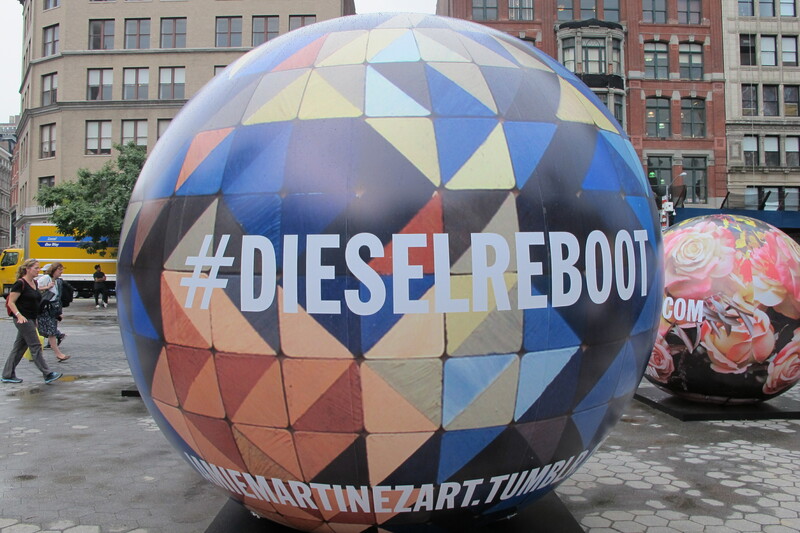 A rarity for art fairs, 70% of artwork sales return to the artist who created them. 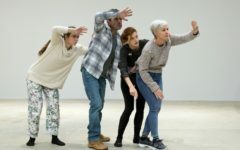 Independent artists from around the world – this year’s iteration features works by artists from as far away as South Korea, Poland, Brazil and Iran – are given a platform to display their art throughout a row of historic houses on this former army barracks site. From 800 submissions, the final artists were whittled down to nearly 80 artists whose artworks and installations filled various areas of these homes, including the kitchens, living rooms and stairwells, and even the front yards of Colonel’s Row on Governor’s Island. 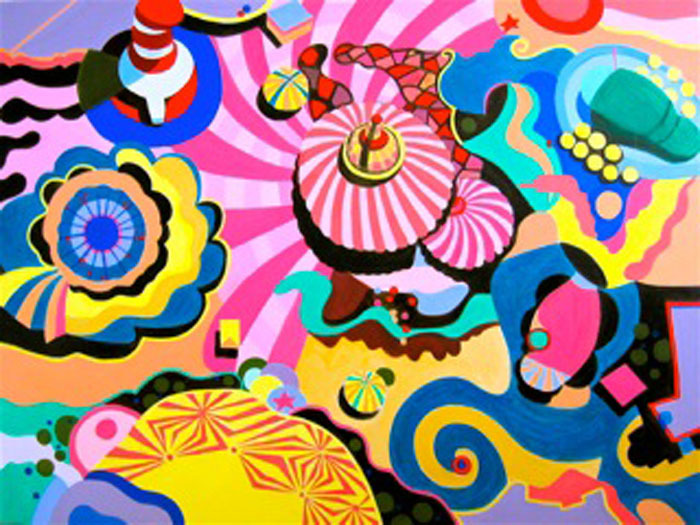 Artists exhibit free of charge and even have the opportunity to feature limited editions and small pieces in the art fair’s ArtShop – another source of income for artists in the fair. 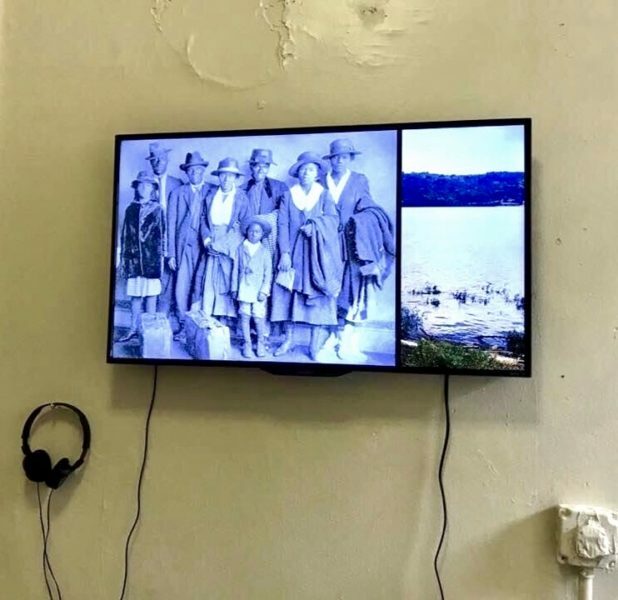 The immersive ingenuity of the Governor’s Island Art Fair holds something for everyone: billed the “art fair for the 99%”, there really is something available for every visitor, ranging from new media to fiber arts and everything in between. Etty Yaniv, Sirens. 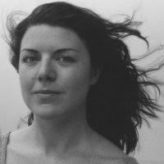 Photo by Jaynie Gillman Crimmins. Etty Yaniv, Sirens. Photo by Nina Meledandri. Our tour of the fair began at Colonel’s Row House 408B with artist Etty Yaniv. 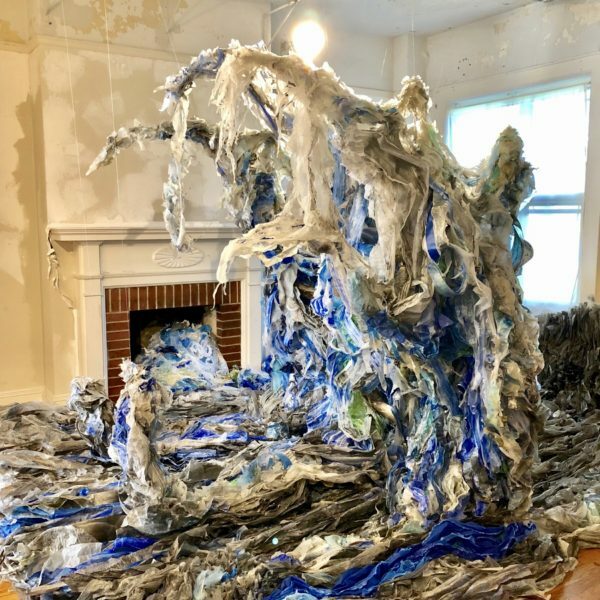 Yaniv’s installation reacts to the voluminous living room: her work, Sirens, a soaring mixed-media installation re-purposing recyclables integrated with Yaniv’s own discarded artworks, ruminates on a typhoon scene described by writer Haruki Murakami. The tendrils of the wave caps poised delicately over visitors to the space is alternately menacing and captivating. 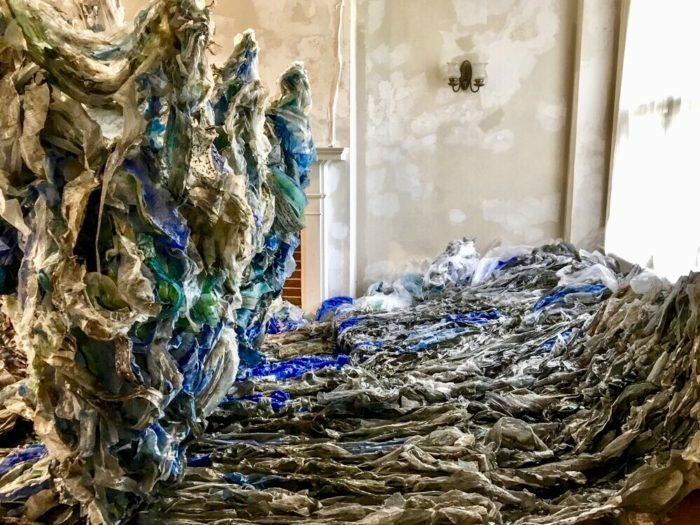 Yaniv approaches the room as an accomplice to the sweeping wave installation, enabling glittering jewels of carefully placed plastic and ink on paper to tumble in through a large window. Sirens towers over visitors to the space, a haunting reminder of humanity’s fragility in the face of nature. Samuelle Green, “Paper Caves” (2017). Paper and wire photo by Mary DeVincentis Herzog. 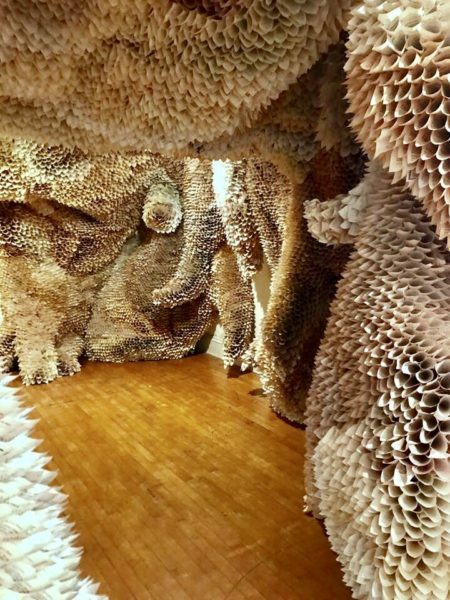 Samuelle Green’s striking Paper Caves, on view in House 407B, re-purposes found pages into painstakingly hand-rolled paper cones organized through hidden wires to transform the room into a fragile artificial cave. Visitors can peer into the individual cones to catch glimpses of the language comprising the pages on view. Drawing attention to the inherent design aesthetics of our natural world and the often overlooked beauty of natural formations, particularly in objects constructed by bees, insects, and ants, the installation makes apparent the hard work that goes into making our surrounding environment. Green has recreated this intricate structure at multiple locations, here crafting a site-specific iteration for admiring visitors. Installation by Motomichi Nakamura. 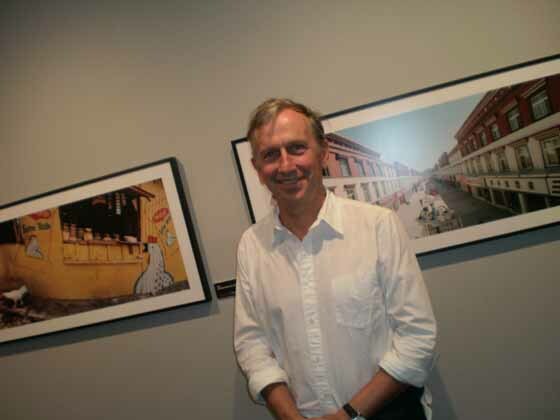 Photo by Mary DeVincentis Herzog. Brooklyn-based Motomichi Nakamura, whose work features in House 407A, is a projection artist, animator and lecturer with distinct graphic sensibilities. 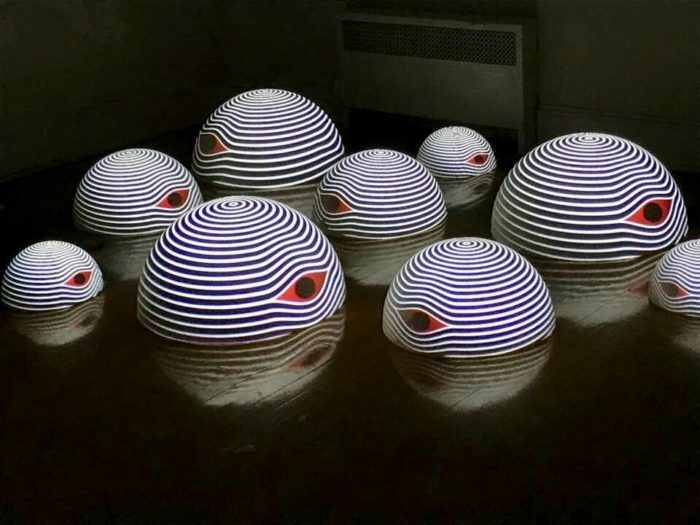 His installation features highly stylized orbs of black and white organic lines revolving around prominent red eyes in one section and unsettling smiling faces on orbs gazing back at the viewer. 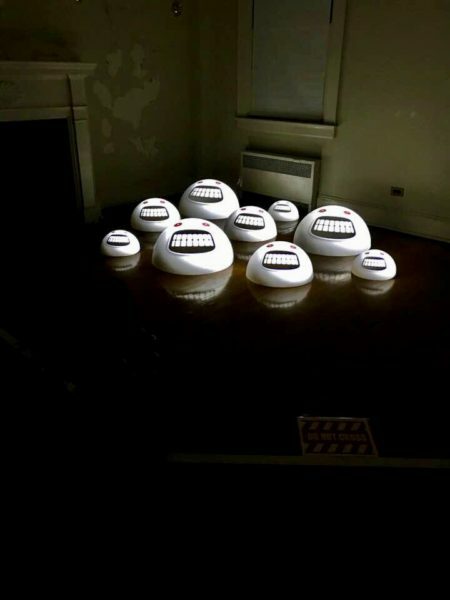 Clustered into careful arrangements seemingly rising up from beneath the floorboards, the installation prompts reconsiderations of how actual surveillance can be innocuous while feigned surveillance can be made disconcertingly apparent. Installation by Jada Fabrizo photo by Mary DeVincentis Herzog. Installation by Allison Sommers Mary DeVincentis Herzog. 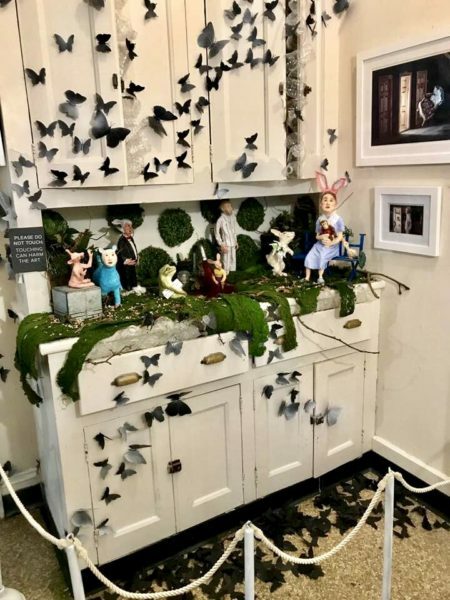 Jada Fabrizio’s compelling installation in the kitchen of 408B creates a whimsical, dream-like world for those encountering the work. Positioning mysterious, enchanting photography throughout a space festooned with butterflies and Alice in Wonderland-style tableaux, Fabrizio’s work cinematically explores surrealist realms. 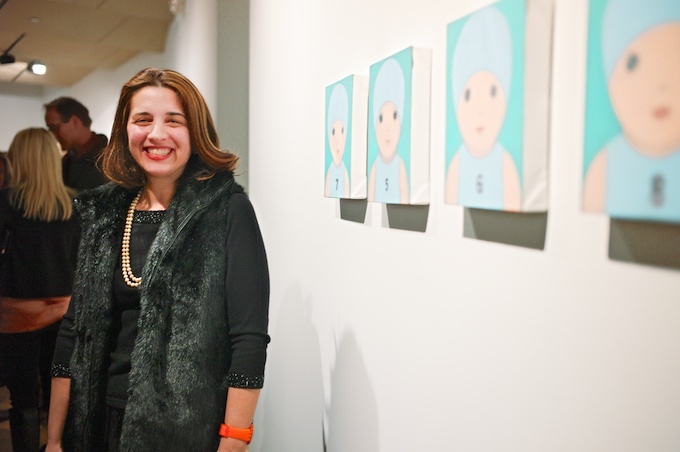 Allison Sommers (407B) and Trina Michelle Robinson (407A) both explore hidden histories in their respective installations, in markedly different ways. 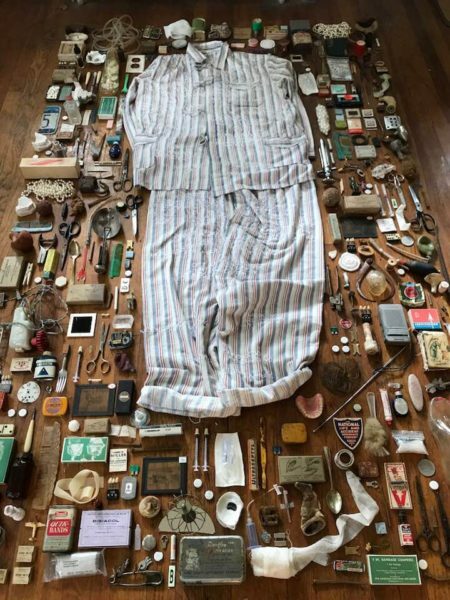 Sommers organizes objects categorically, assembling accouterments from bygone eras to create a carefully contextualized sense of past intruding on the present. 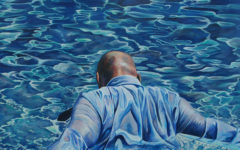 Robinson approaches the past from an autobiographical perspective, with video documentation of locations that once served as a home from her ancestors brought to the United States as slaves. Trina Michelle Robinson’s installation based on historical documentation and video of the location of her family’s history as slaves. Photo and writing by Mary DeVincentis Herzog. Visitors to Governor’s Island Art Fair should take a final parting walk both around the houses through the Colonel’s Row grounds and a quick break in the ArtShop (located inside 406B). Here guests can peruse smaller art objects created by the selection of artists on view at the fair. From miniature to towering, delicate to indestructible, Governor’s Island Art Fair installations and outdoor sculptures provide an eclectic and multi-faceted foray into the future of independent contemporary art.